As far as academic commitments are concerned, applying to law school ranks pretty high on the “terrifying” scale. 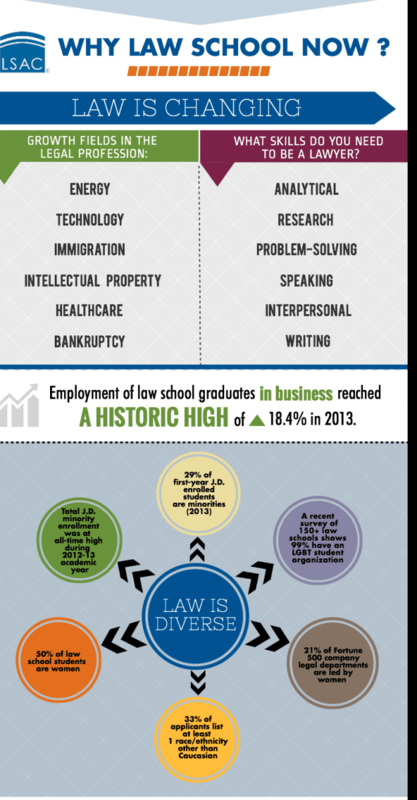 Law is a daunting career path to say the least, but you don’t need to pass the bar exam to argue like an attorney. With a few tips from experts well versed in court debates, you too can handle your arguments with the finesse of a true professional — even when you’re on the losing side. A good lawyer never makes assumptions. He asks questions to find the facts of his case and casts doubt on everything, including his own stance on an issue. It might sound childish but you should constantly ask, “Why?” Why does this person believe what they do? Why is my belief justified? If you’re inquisitive enough, the root of the flaws in your opponent’s argument will come to light. “Listen to what the other side is saying and don’t just tune them out,” attorney and litigator of 25 years Steve Scandura said. One of the worst betrayals of your own logic is to close yourself off to others’ opinions. “Most people are so focused on what they’re going to say that they don’t listen,” Scandura explained. Crush your sense of ego into a tiny ball and toss it away — you’re better off without it, because no one’s right all of the time. If you show up to court without your briefcase full of research, you’re bound to lose. Likewise, if you start up an argument and have no legitimate facts to back up your claim, you’ll end up looking like an amateur. “A good lawyer is one who can see both sides of an argument,” administrative attorney Lindsay Garroway said. Open-mindedness can solve your conflict with your roommate too. Lawyers must argue for their clients whether they agree with them or not. Being able to competently argue for both sides requires a deep understanding of the other person’s position; and even if you end up agreeing to disagree, an expression of empathy for the other side’s perspective can save you and your roommate’s relationship. Lawyers can’t become emotionally attached to every case. They must rely on logic and reason to convince the other side. In any heated argument, instead of focusing on your anger, stay calm and use your head. Stick to the facts and if you’re correct, you’ll come out on top. If you’re wrong, at least you’ll be the better person for not resorting to vitriol. A grade is only negotiable if you’re right, Scandura said. If you know you don’t deserve the grade, don’t beg your professor for mercy on the last day of the semester — you’re wasting both your time and his. If, however, you have a valid reason for why you’re missing points, don’t hesitate to state your case. One of the most common fallacies in argument, making a “straw man” is when you inaccurately represent your opponent’s point. By refuting the straw man you can create the illusion that you’re right, even if you’re not. But beware, if you twist your friend’s words, she’ll have even more disdain for you than before. “Magic is a sleight of hand, trying to distract someone from the essence of the argument… Judo is where you take the other’s side strength and make it yours,” attorney and professor of media ethics Jim Wagstaffe said. This technique is only possible if you’re actively listening to the opposing claim. Find what seems to be its strong point, and use your critical analysis to turn it into your own weapon. Beating yourself up over a botched debate won’t get you anywhere. “Lawyers have to learn how to lose. You’re going to struggle. You’re going to go home upset that you haven’t achieved everything you want,” Wagstaffe said. Use the loss as a launching pad to lead you on to greater successes. Debate isn’t a race. Young lawyers dealing with anxiety tend to rush to the end of their arguments. Try to speak slowly, enunciate your words, and solidly hit each of your points — you’ll appear more confident and your words will have more sway. And who knows, a dramatic pause placed just in the right place might swing the audience in your favor. Speaking of bad speech habits, nothing destroys your credibility like a handful of those pesky linguistic fillers: “uh,” “um,” “like,” “y’know.” One way to eliminate the behavior is to consciously replace those fillers with silence. It’ll take a bit of practice, but pausing to collect your words will make you seem more thoughtful, confident and composed. Students may believe that the more layers and complexities in the argument, the stronger the claim. Ironically, it’s the other way around. It’s more difficult for an audience to process an argument bogged down with fluff and miscellaneous information, and as a result they’re less likely to take you seriously. Even if your argument is sound, you won’t always be able to convince the other party. Many people are so deeply ingrained into their belief systems that no amount of debate will uproot their ideals. State your claim and why you disagree. Then end it there. Save yourself the frustration. If you’re still determined to change a stubborn person’s mind, the first step is paving common ground between your two arguments. “A lot of people are resistant to changing their opinions because they don’t feel heard,” corporate litigator Catherine Grech said. “If you truly listen to them and understand where they’re coming from, then you can find a point of common ground.” Once you reach a consensus, dealing with conflict then becomes a lot easier. “Sometimes lawyers will talk too much when they could have won an argument, and they talk themselves into a loss,” Grech said. Speaking over your opponent so they’re unable to be heard is called a heckler’s veto. While it’s marginally effective at stifling others’ ideas for a short period of time, it’s a sloppy and unprofessional way of handling a debate — and it certainly doesn’t fly in a court of law. Attend a free Law School Forum held by the Law School Admission Council (LSAC). Learn how the admission process works and how to prep for the LSAT. The Forums feature live workshops and one-on-one access to law school reps. Find out which law school is best for you. Find your city below & preregister here. Do you have the moxie to make it from the classroom to the courtroom? Well, do you?